2017 Best cloud storage solutions for SMEs. From decades, a set of major forces is working together to bring the evolutionary change in our lives. A change which is technological and imperative to lead a digital lifestyle. I very well remember in the nineties, browsers were introduced to connect users with online content and information, in 2006 software moved from client-server based to software-as -a -Service (SaaS) and now the markets are of mobiles and its applications. 2016 marked the verge of this new era where apps combined customer, product and operational insight with modern application development tools and user centric design in order to deliver a more compelling and enriched user experience. Yes, the apps have now become intelligent. Supported by two pillars; machine learning and data analytics, the intelligent apps can precisely understand why behind every what. They depend more on algorithms (which are used to build them) to distinguish between relevant and irrelevant information. 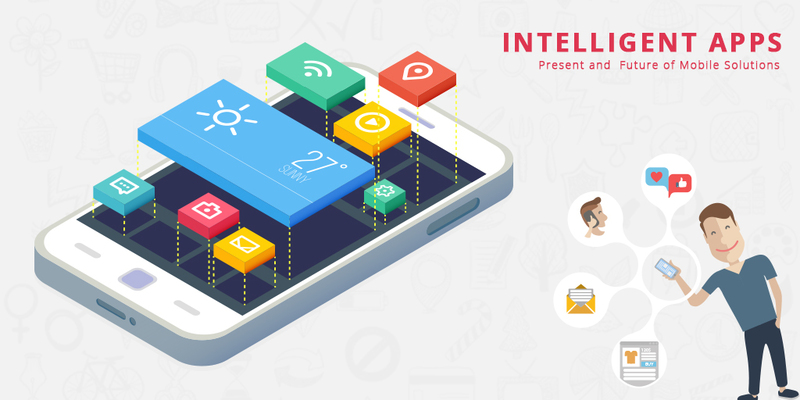 The intelligent application ecosystem allows humans to interact with the devices and increase their efficiency to know us. They pay attention to user’s choices, behavior and thereby predicting their need. Having determined the need, they automatically buzz or notify the solutions to our potential problems and does not wait for us to search anything. It makes the tasks easier where we just need to click a single button to get the action done and can skip the multi-step process to execute the same task. It is capable of taking necessary steps at the right time without bothering to notify us in advance. Search engines like Bing and Google and media service providers like Netflix and Spotify are continuously working with intelligent apps. Even the e-commerce sites are not behind. They are displaying right recommendations at the right time and also providing the facility of chat bots and virtual assistants. Another successful example of an intelligent app is Virtual Personal assistant which helps you manage your tasks according to your priority. No doubt, the present, and future belong to intelligent apps. Trends have shown that transformation has already begun in many business segments. Industry watcher Gartner expects that by 2018, a considerable number of world’s largest companies will start trying hands on intelligent apps. Gear up to use the full toolkit of big data, cloud technology, and machine learning to deliver more valuable and relevant experience to your users. This new concept has huge potential and is knocking door of all the startups, small and large companies. It is the right time to invest in intelligent mobile apps as the entire system is in its initial stage and therefore it gets easier for the developer to learn, build and speculate about machine learning techniques. There is a huge availability of low-cost storage and computational power and also it is convenient right now to use micro-services as a development essence for building applications. iOS 8 vs. Android 4.4: Is Apple all set to strike Android?